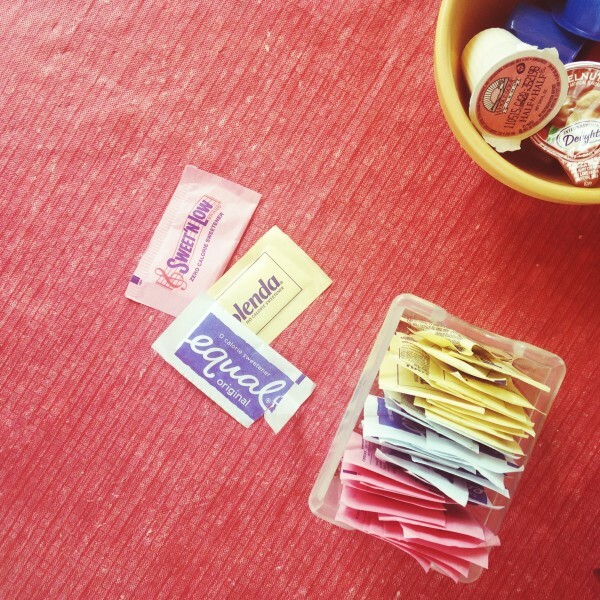 You might have already know this by now, but it’s a fact that not all sweeteners are created equal. If you’re like me, you find it hard to keep up with what’s good and what’s bad (Splenda is bad, Agave is good, real sugar is good…it can get confusing!). Everyone should know whether the sweeteners they’re putting into their coffee, tea and sweets is laden with chemicals and carcinogens, or if it’s totally fine to consume. To solve this mystery, I’ve enlisted Team LC’s nutritionist and friend Kelly LeVeque to break down the good, the bad and the ugly behind your favorite sweeteners. Below, Kelly helps explain which sweeteners have a high or low glycemic index (which is a number that ranks a food from 1-100 on how it effects your blood sugar, also known as GI). Keep in mind that the higher the GI, the worse it is for your energy levels throughout the day as well as your overall health. The plant Stevia has been used for more than 1,500 years by the Guaraní peoples of South America and is a safe calorie-free sweetener that can be used by diabetics. It’s much stronger than sugar, so a little goes a long way. Kelly’s advice for Stevia lovers is to ensure you are using organic 100% stevia, as many brands are jumping on the band wagon and will split the mixture with chemicals. Many people believe Truvia is Stevia. However, it’s actually made mostly of erythritol, a sugar alcohol from corn that is low in calories but gets completely absorbed by your gut bacteria. Sugar alcohols ferment in the gut, so side effects can include diarrhea, cramping, gas and bloating. In short, while Truvia might be low-cal, it won’t leave you feeling your best, so it’s a good idea to reach for another sweetener. Agave nectar is often heralded as low on the glycemic index (15), however, processing techniques result in a 75% or more fructose content. This means, it’s still going to do a pretty good job at spiking your blood sugar (not ideal). Kelly recommends that her clients steer clear of agave nectar because it’s known for being a high-fructose sweetener without much nutritional benefit. Splenda (or sucralose) starts off as sugar, but in the factory, chlorine molecules are added to the sugar molecule to make sucralose. Because of this chemical modification, the body does not metabolize or digest it properly. It has been linked to an increased risk for cancer (but claims are controversial). In any case, Kelly says, chemicals should never be your first choice when choosing healthy foods, making Splenda a not-so-great sweetener. Stevia drops are a great swap for Splenda. Kelly tells her clients that going completely sugar-free is always her number one recommendation. But in reality will you never have another bite of cake? Probably not. When you do indulge in your sweet tooth, it’s better to know what you’re getting into, so remember that you can always refer to the guide above the next time you’re sweetening things up. What healthy eating tips would you like to see us cover in our next Get Fit post? Thanks again to Kelly for these healthy tips!